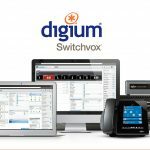 We recently had the opportunity to speak with Tristan Degenhardt, Digium’s Director of Product Marketing for Switchvox to learn more about choosing the right PBX system for an office environment. 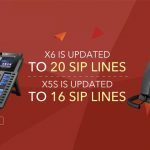 VoIPon: There seems to be a lot of controversy lately surrounding the best method of implementing a next generation PBX into an office environment. What are some of the most important things you believe a VoIPon customer who is for example, an office network or telephone administrator, should look for in selecting the best system for their business? Tristan Degenhardt, Digium’s Director of Product Marketing for Switchvox: Flexibility is probably the key thing to look for. Because with this kind of purchase, even if it’s not an expensive one, you should be assured that it can grow with you, and do what you need— no matter where your business takes you. Software-based systems are great for that, because getting new features and capabilities is as easy as a software upgrade, which, in Switchvox’s case, is a one-click process. But having one that supports open standards can really help make your system future-proof. If you’ve got support for open standards, you’re not only compatible with the stuff you have already (phones, network, service providers) but you’re also compatible with the stuff you don’t even know you need yet. If your company grows and needs a piece of software that hasn’t even been invented yet, wouldn’t it be great if you could have some assurance that those things would work together? With a system like Switchvox that is built on open source, using open standards, you can have that kind of assurance, unlike an old traditional proprietary system. VoIPon: What should VoIPon’s customers know that sets Digium’s Switchvox Appliance apart from its competitors in the market? TD: Switchvox really strikes an amazing balance between providing very advanced and even complex capabilities and technology inside without having a complex interface to manage those capabilities and features. Switchvox systems are designed to just drop right in and work with your existing infrastructure- your phone lines and network, sure, but it also works with the software you use every day like Microsoft Windows and Outlook and your CRM systems. Just because Switchvox has advanced technology inside, doesn’t mean that you need to know how to run Linux or Asterisk get it running and maintain it. It’s just a point and click web interface for everything. This includes making updates to the software when we release new packages for new features. Switchvox also makes it easy to deploy unified communications, even in a small business environment. With features like voice, video calls, fax, and chat built right in to the Switchvox with our web-aware Unified Communication, you can even tie in internet searches related to your inbound phone calls. For example, when I get calls on our Switchvox, I can see the information that we have on the caller that’s in our salesforce.com account. VoIPon: Why should a VoIPon customer choose Switchvox, over say a Digium card plus Asterisk installed on their own server? TD: Well, that ease of use plus powerful capabilities thing is certainly a huge factor. It’s almost like you’ve got to ask yourself: if you had an engine and a car chassis that you could put together yourself vs. buying a nice BMW to drive to work, it probably doesn’t make sense to cobble the thing together yourself. Just drive the BMW and relax. It goes fast; it goes slow. It’s comfortable. You can adjust the heater and put things in the trunk. It does everything that people want out of a car. On the other hand, if you’re really not looking for a car, and are instead looking to have your final product be something with an engine and a chassis, but is definitely not a car, then having full control over that engine and chassis are key to getting what you want at the end. Starting with a BMW doesn’t do you any good if you’re trying to build a bunch of giant golf course lawn mowers. Asterisk is great at that stuff though, because with open source software that runs on normal commodity hardware, you can build whatever you need with a little time and dedication. VoIPon: Some of VoIPon’s customers are systems integrators, who may wish to use Digium PSTN cards and Asterisk to build appliances of their own. How are you handling questions from the community surrounding channel conflict? Can you put their mind at ease that by supporting your hardware, they are not in fact buying from the competition? TD: Some customers do indeed view that buying from Digium may be contributing to their competition. But they’re in actuality contributing to the open-source project creator, maintainer, and primary contributor. To keep open source as a vibrant project, Digium must successfully monetize open source, and purchasing our boards and products helps this happen. And then, of course, Switchvox is a product that fits tightly into a specific market and space. We are not necessarily competitive with a system integrator’s offering. VoIPon: Where do you see the market for office phone systems going in the future? TD: Open source is rapidly gaining market share for all kinds of software, including phone systems, because it’s the fastest route to innovation. A recent study by Eastern Management Group found that open source and open source based telephone systems, like Switchvox, are more widely deployed in businesses than any single vendor’s solution. Nortel with 16% of the market has the biggest piece of the pie, and Avaya has 11%, but they found that Open Source has 18% market share and Asterisk is at the core of almost 90% of those business phone systems. So, I think it’s safe to say that the business telephony space is one of those areas where Open Source is set to just clobber traditional proprietary systems in the near future. And what this does is open up phone systems for the type of innovation that freeing up your software enables. 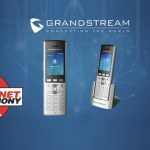 I see this as a huge opportunity to enable applications to work together and the future of phone systems is all about integration. 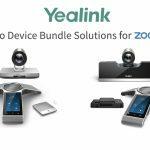 We’re seeing everyone jumping on this Unified Communications bandwagon, but most of them are just seeing the tip of the iceberg. They’re unifying all the stuff they control, but until they embrace open standards, they’re crippling their own capabilities. Switchvox has had a published XML based API for a few years now, which allows integration of basically anything that’s web based into the UC universe. When you get a call, you should see the emails you’ve not read yet from that caller and any appointments you have upcoming. Google should be showing you what kind of business they’re in. Facebook should be showing you which pub they frequent. Your trouble ticket system should be showing any open cases that are being worked, and any packages to track. 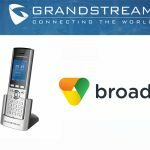 The point is, there’s a lot of data inside your office about your callers, and PBX manufacturers are just starting to pull that data together for you to see, but there’s a lot more information out there on the web about your callers, and there’s no reason that you shouldn’t be able to harness that for your business too. It’s incredibly powerful, and it’s definitely the future, unless you have a Switchvox, then you have all that now. VoIPon: Are there any interesting projects or new products that are coming that you can share with VoIPon’s listeners? Well, we just recently announced the new models for our line of Switchvox appliances and we’re busy working on wrapping up the latest update to the Switchvox software. Something to look forward to in that release is that we’re bringing more features and flexibility for the IP phones that Switchvox automatically detects and provisions.